This is a free pattern for one side crochet scarf. To make this one side, scarf, start with a 142 chains (or any multiple of 7 + 2 for the edges) with the 3mm crochet hook. Follow the crochet chart starting from the bottom up. Repeat the motif in black (R) 20 times or as many times as you wish. 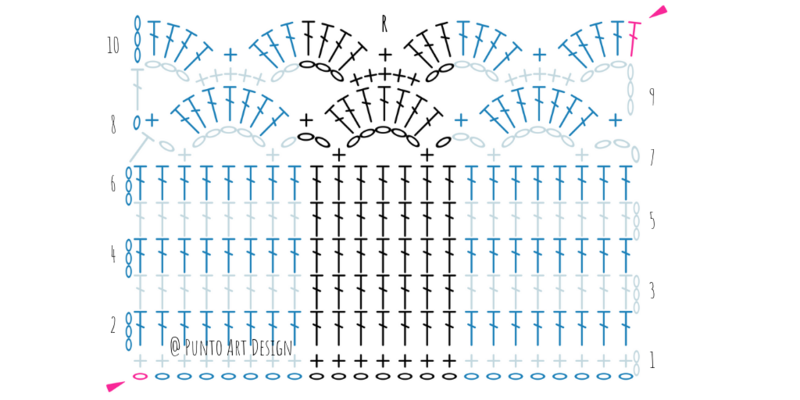 To finish, make 4 rows in double crochet, on each side of the scarf, as indicated in the second diagram. TIP 1: to obtain a more professional finish, replace the foundation chain and the first row for a chainless foundation double crochet (fdc). 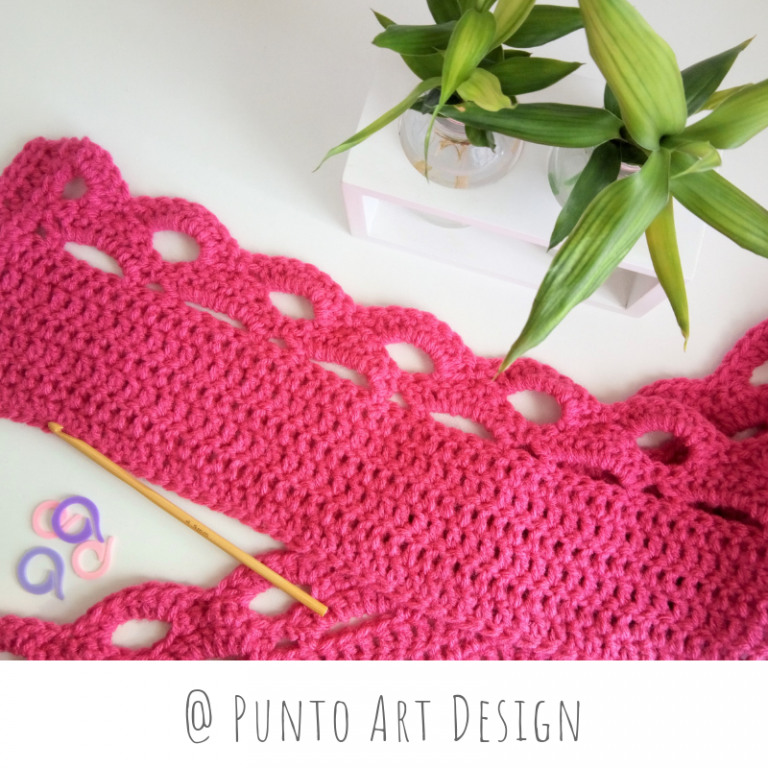 TIP 2: To make the pink scarf wider you can repeat rows 3-4 as many times as you need. 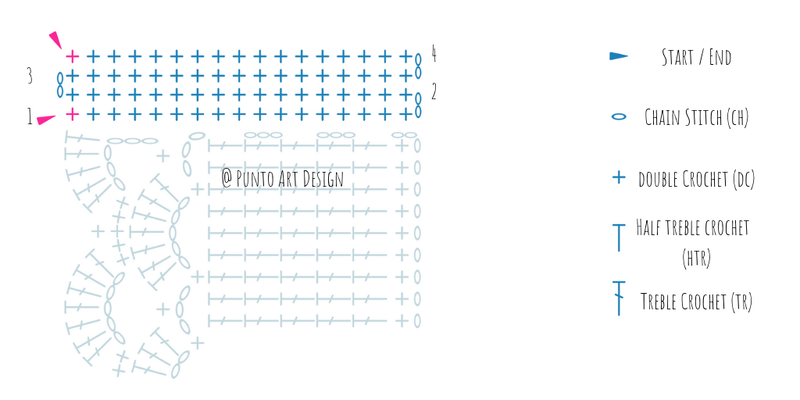 Support Punto Art Design for the price of a coffee! I hope that the PAD designs inspire you. I have loved to create them and I hope you do them as well!